After a comfortable day at Sea aboard the Ruby Princess. We headed back to our room to prepare for our big dinner at Share. 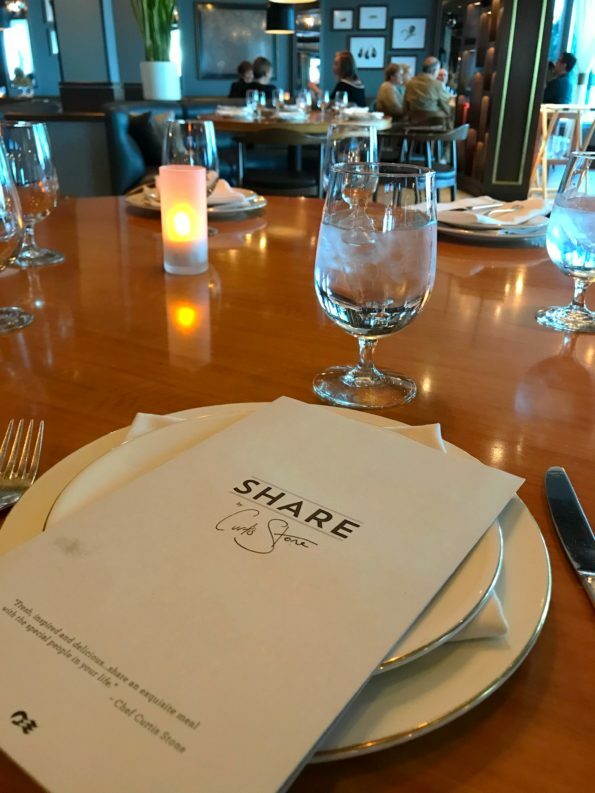 Share is a restaurant located aboard the Ruby Princess. Serving a 6-course dinner like you have never seen before courtesy of Chef Curtis Stone. 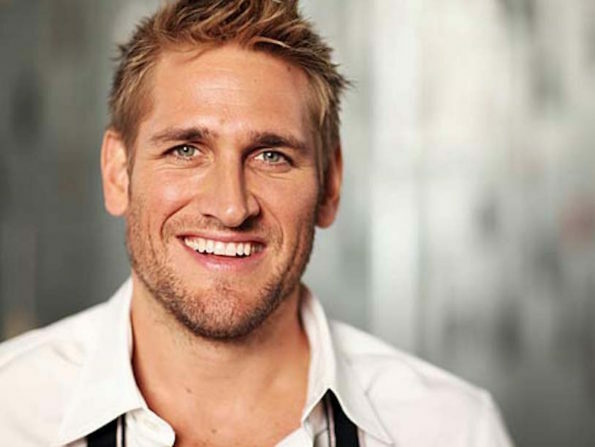 Chef Curtis Stone is a well-known Australian Chef that became popular years ago with a hit show called Take Home Chef. This was one of my favorite cooking shows of all times. 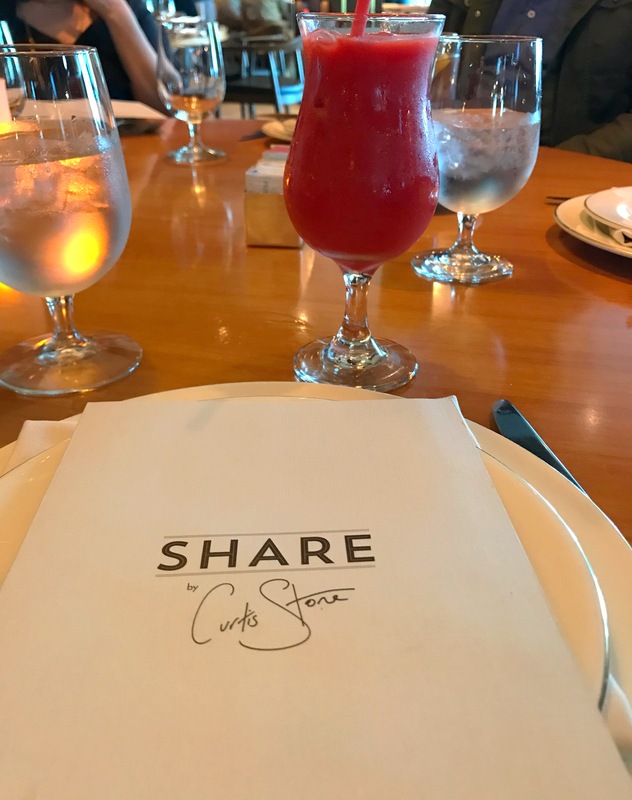 Curtis has since appeared on many other shows like Top Chef Masters, America’s Next Great Restaurant, Master Chef and so much more. As well as the Oprah Show, Celebrity Apprentice and Ellen show. 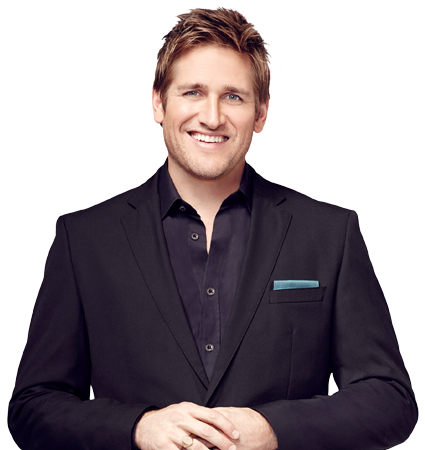 Curtis Stone has partnered with Princess Cruises to bring a fresh approach to fine dining. 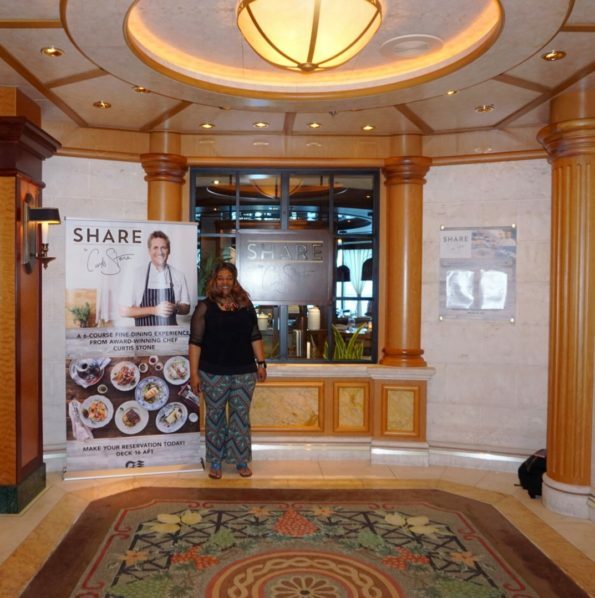 “Chef Curtis Stone and Princess Cruises share a passion for bringing people together through food that creates happiness around the table. It’s a dedication to fresh cuisine that helps build connections to our world and those with whom we explore it. 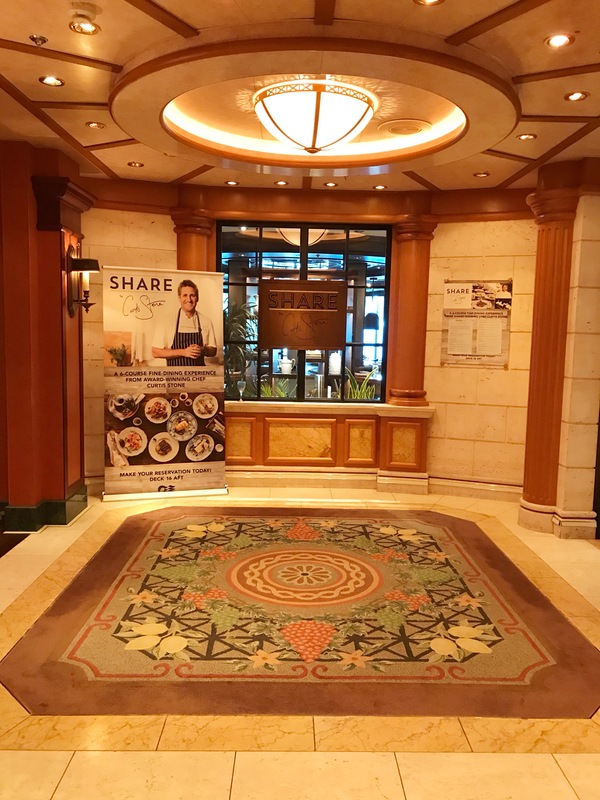 Together, we’re offering Princess guests delicious discoveries to excite their senses and inspire them to Come Back New” Princess Cruises. We arrived at the Share restaurant before the dinner service started. 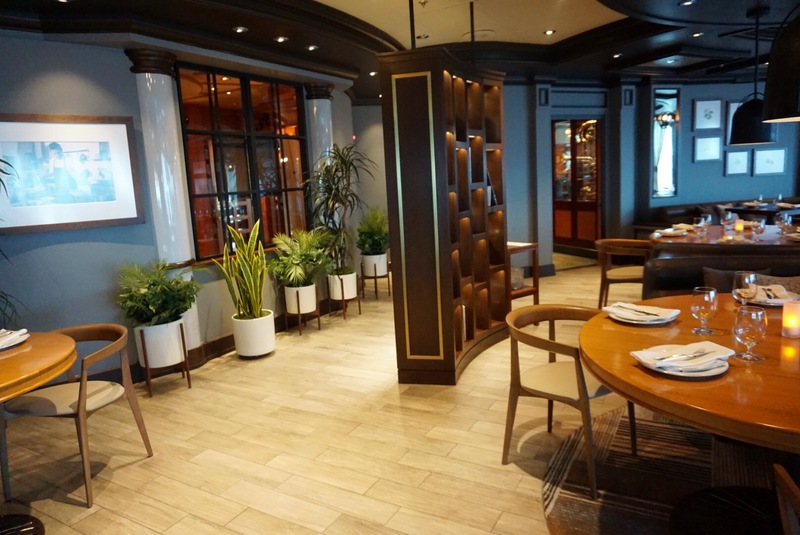 As you approached the restaurant it was visually very welcoming with a classy look. The restaurant was gorgeous. 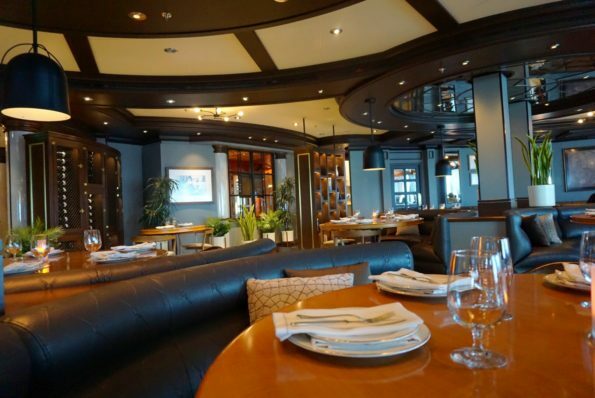 I loved the combination of wood, leather and subtle colors with an incredible view. The restaurant was stunning. We were seated at this beautiful table that was a combination of a booth and a table. Very comfortable seating and the table was beautifully set. Our waitress arrived at the table with a smile. She began sharing with us a few of the drink options. I ordered a virgin strawberry daiquiri. After the drinks, she gave us the spill as to how dinner would work and began taking our orders for course one. For Course one, starter, I ordered the Charcuterie Whole 18-Month Aged San Daniele Prosciutto which was sliced very thinly. 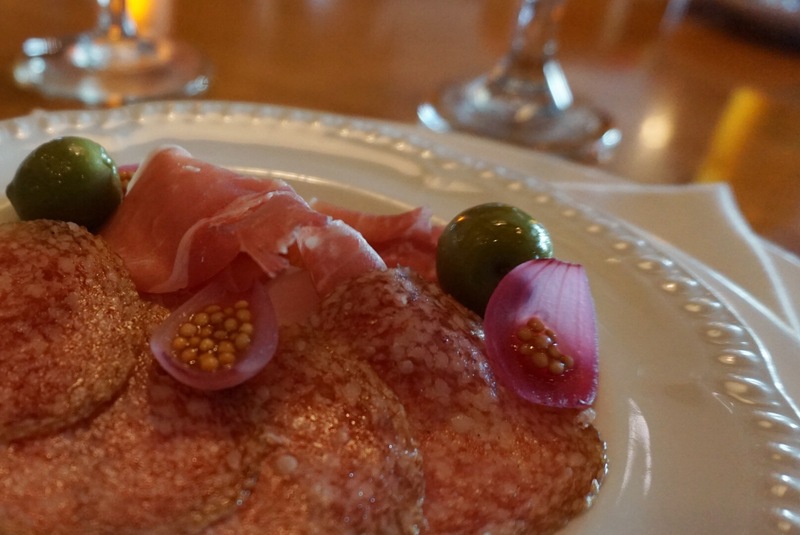 Garnished with pickled onions and Castelvetrano Olives and a Spicy Soppressata (Dry Italian Salami). A very interesting dish that was simple yet delicious. The pickled onions added a nice element to the dish. Course two, my salad was the Lemon Poached Prawns. 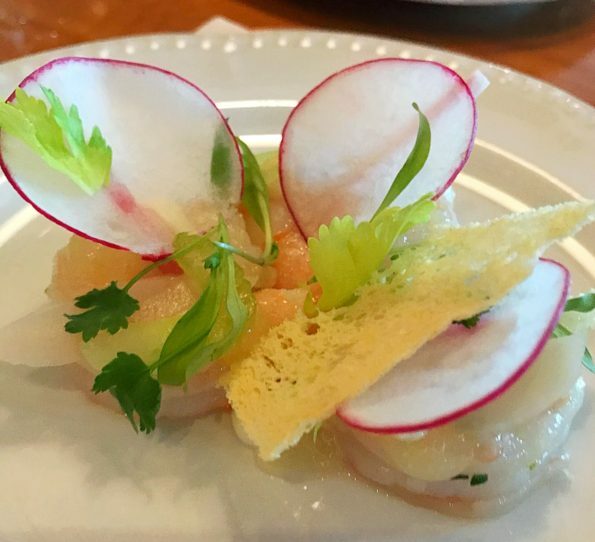 The Prawns were paired with a turnip cream, crispy brioche and finished with raw radishes. Absolutely stunning dish. The dish was light with burst of flavors throughout. A really good dish. 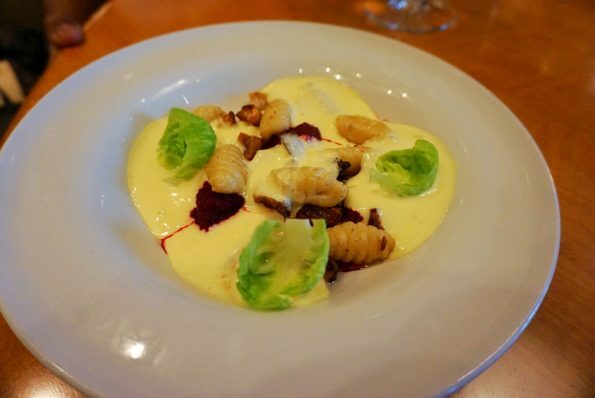 Course three, pasta was Ricotta Cavatelli. One fo the guys at our table ordered this dish. 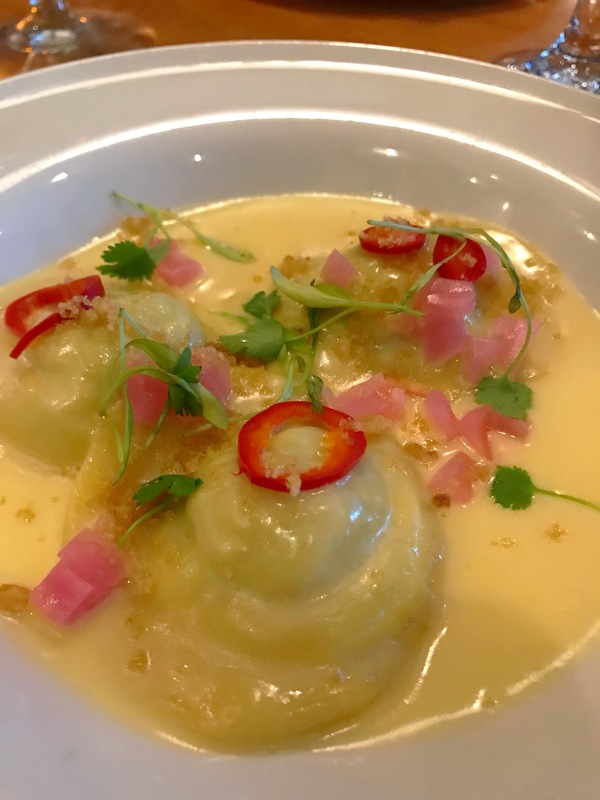 A dish that was both vibrant in color and flavor. The dish highlighted roasted sunchokes, pickled beets and brussels sprouts leaves. This dish was a Vegeterian option. My pasta dish was the Pork Ravioli. Pasta with a green curry filling coated in a lemongrass cream and topped with crunchy chicharrones. What a Gorgeous dish? Creamy and flavorful pasta and sauce. Visually appealing, the dish was aromatic in flavor. So good. One of my favorites of the evening. Course four, SEA, the Butter Poached Lobster Tail. 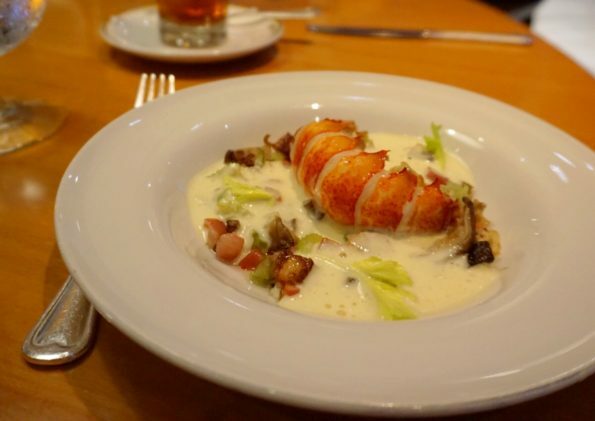 A butter poached lobster tail served on a bed of roasted potatoes and crispy pancetta covered in a white onion soubise (sauce). This dish was everything. The Lobster was perfectly poached in butter and tender to taste. The roasted potatoes and crispy pancetta added a nice texture to this wonderful dish. The white onion soubise was creamy and the perfect sauce for this dish. Amazing! My friend tried the Steelhead Trout. A cold water trout that had a very flaky texture served next to buttered asparagus in a bed of white wine beurre blanc. Amazing! After trying this dish I wanted to go home and recreate this dish it was that good. Simple yet gorgeously presented. Course five, LAND, a Duck Leg Confit is what I chose. 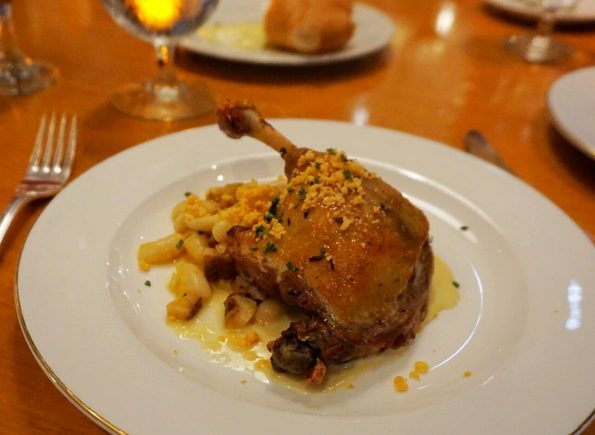 A salt cured duck leg with crispy skin, bacon flavored beans and parmesan. This duck was not only perfectly seasoned, the skin was crispy and cooked to perfection. The bacon flavored white beans was finished with a little parmesan. I loved that the beans weren’t overpowering or heavy. A really good dish. The duck was absolutely incredible. This dish had a simple presentation in comparison to all the others, but flavor wise it was good. Course six, Dessert, my favorite course of any meal. 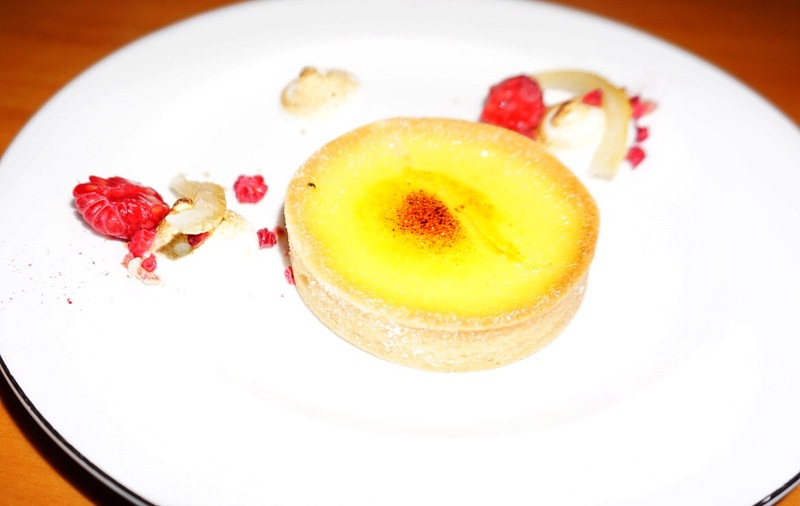 The Citron Tart, a classical tart shell with freshly sliced raspberries and an Italian Meringue. Oh my gosh, this dessert was delicious. The tart was gorgeous. The fruit and the Italian Meringue together was an explosion of flavors in my mouth. The crust was buttery and flaky. Really good. Overall we absolutely enjoyed the dinner. Each course flowed from one to another with ease. The plating of each dish was intricately designed. The presentation made me anticipate the first bite of each dish. So good. The service was awesome. Our waitress catered to each of our needs and answered whatever questions we had. 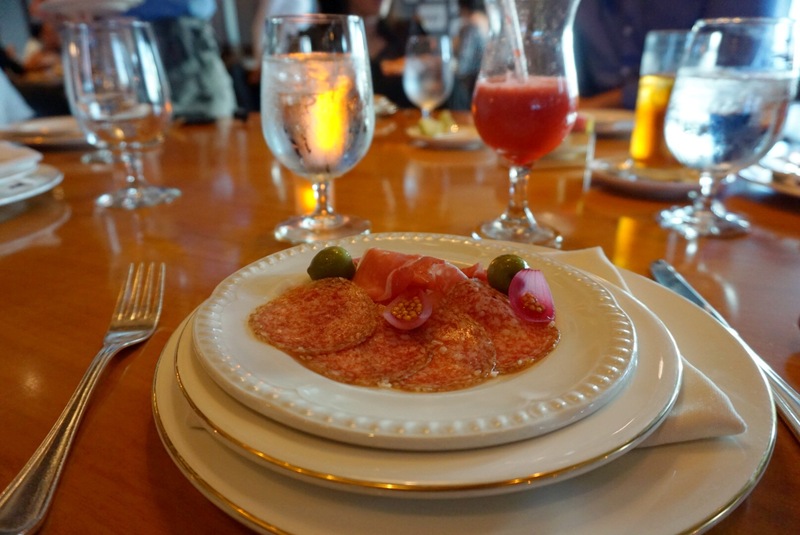 This was a dining experience like no other. By far, my favorite dinner service aboard the Ruby Princess. The only thing that would have made the dinner better, is if we would have been able to meet Chef Curtis Stone! 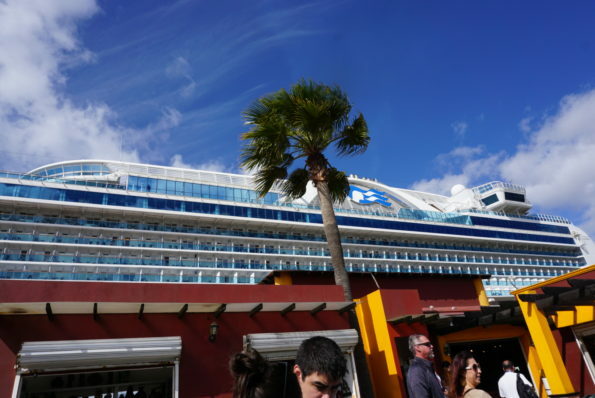 My next blog post will be all about our Culinary Tour of Ensenada, Mexico.